newest technology and products on the market today. Let us show you exactly how to get the perfect look! Get the perfect style, lay back and relax! Reshape and buff the nail for a fresh coat of polish (15 min). 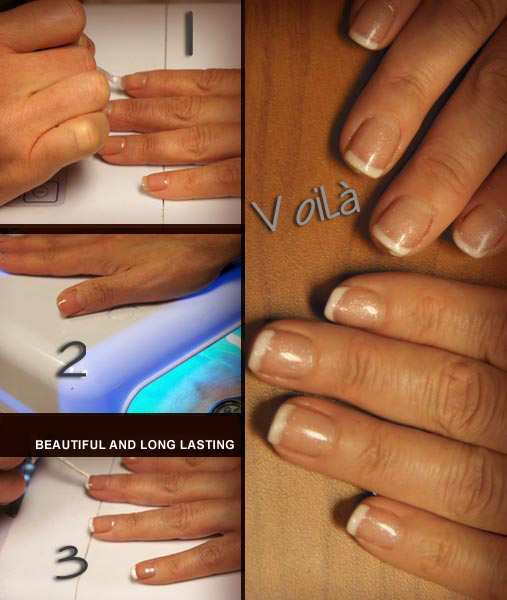 A 30 minute manicure with massage to moisturize the hands. A “facial for the hands”. The spa manicure uses an intense 2- step citric acid exfoliation to deeply hydrate the skin for a youthful appearance (1 hour). The toenail maintenance allows you to relax while getting your toenails trimmed, finished with a Cooling Marine Gel. ($25 ) With polish (45 min). Refresh and beautify the feet in a jiffy. The nails are reshaped and the skin is gently exfoliated (1 hour). A luxurious, marine-inspired “facial for the feet”. The spa pedicure is a four step exfoliation process followed by a rejuvenating foot masque. This pedicure is finished with a pampering foot and calf massage (1 ½ hour). Includes a classic manicure with a true innovative chip-free, extended-wear polish lasting 14-days (1 hour). Complimentary Wi-Fi available to all clients! © Voilà Hair and Nails 2018. All Rights Reserved.